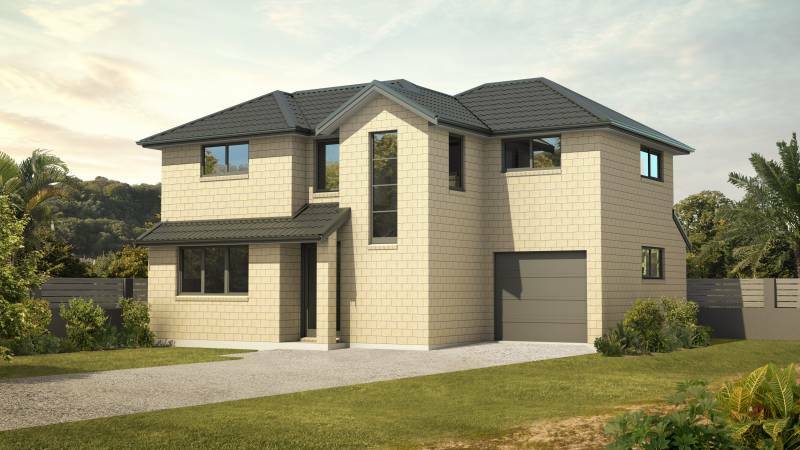 This clever compact 2 story home comprises 4 bedrooms (or 3 bedrooms plus office). Ensuite bathroom off the Master Bedroom, additional family bathroom upstairs, and a guest toilet. Single garage with laundry. 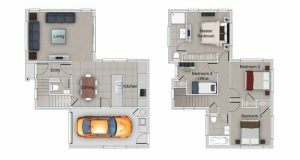 Open plan kitchen, dining and living area with indoor/outdoor flow. 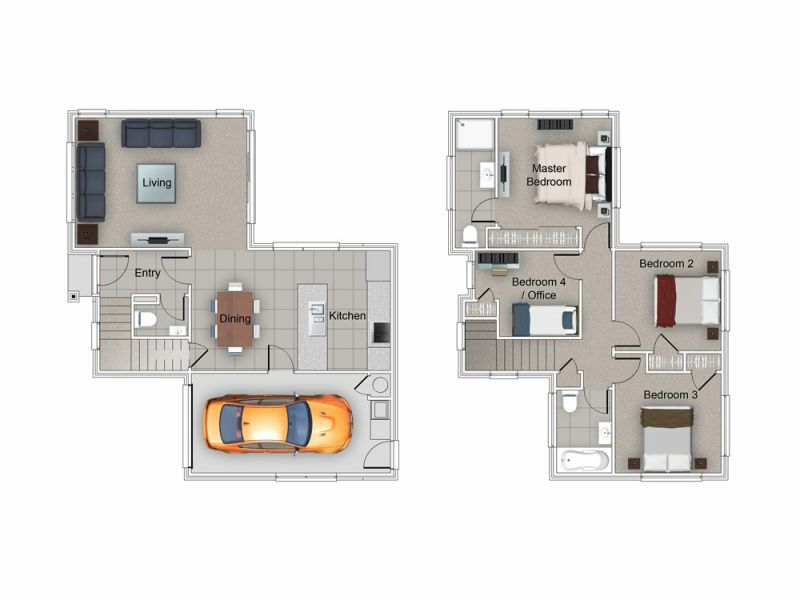 The Camden can be built as a Duplex housing structure to provide even greater returns from your site. Get in touch to learn more.